To preview your email notifications and send test emails, scroll to the "email & notifications" section in the webinar settings tab. Next to each email you have a "Preview or edit" link. Click on the link to open a popup. Wait until the email loads in the popup. Click on send this email to send a test email. By default it will be sent to the Livestorm account owner email. 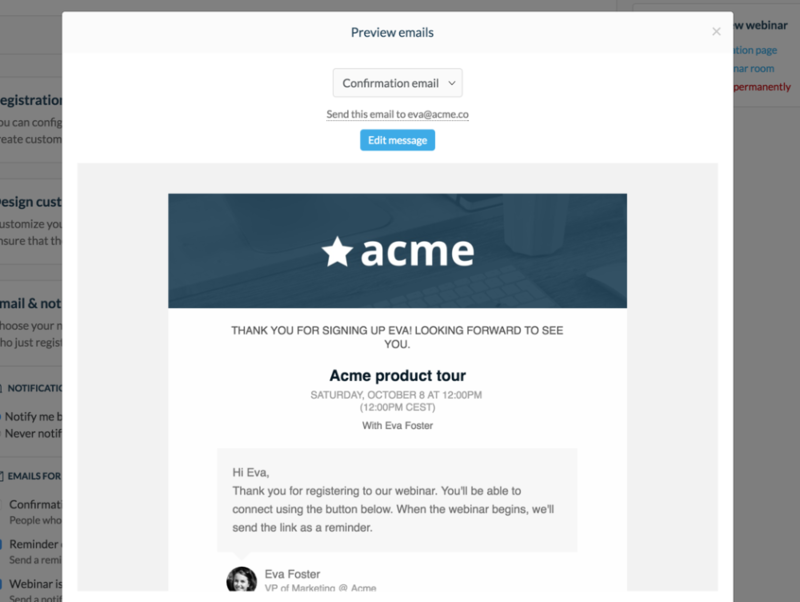 (Optional) You can also easily edit the message content of each email using the blue "Edit message" button.